Cynthia is an Arkansas girl that was a wall flower growing up but God didn’t leave her there to hide in the shadows. She is the wife of a law man and the empty nester mom of two college boys. Cynthia loves sharing God’s word with anyone from her high school group of girls on Sunday mornings, to the women in Bible Study and women’s events. God has fostered in her a heart for missions whether foreign or domestic and she has several “daughters” in other countries and is so blessed for social media to interact with and mentor them. Her vision is to share the love of God’s Word with enthusiasm and excitement with the women that God places in her path. It is such an exciting journey and makes her heart sing to have the chance to see women captured by His love and greatness! I was once told that to tell a good story you start with an earthquake then through your words bring the listener to a point of resolution. Well my Jesus story didn’t start with a Saul to Paul experience. There were no multitudes of demons cast out into a herd of pigs, no rising of the dead…No rescue from drugs, alcohol or self-harming situations…In essence, I had no earthquake. Now don’t get me wrong, I did not and still do not lead a perfect life but the beginning of my story, well how should I say this…was nothing more than a ripple of boredom. Honestly I have struggled in the past with why telling my story would even matter. Being a people pleasing middle child that didn’t want to rock the boat and throwing in a case of major shyness, it was simple for me to blend into the fabric of life. I found great comfort in hiding behind anyone or anything that could take the attention off of me. Groups were my friends. You could be a part of them but in reality if you wanted to stay obscure it was no problem. There was always someone else that wanted the attention. I could play this game and no one was the wiser. I was raised in a Christian family with parents that took us to church every time the doors were open. In fact I was on the Cradle Role within days after I came screaming into this world. So it probably won’t surprise you that my Jesus story began within a crowd at a church event. Our youth group often had nights were we would get together to ask a guest questions about the Bible. It wasn’t officially called this but the youth had secretly deemed it “stump the speaker” nights. This particular night the guest speaker didn’t show so since it was at my house my mother punted and declared it testimony night. Twenty to thirty youth and sponsors sat in a large circle one by one sharing their own personal Jesus story. I sat listening to each one share about the change in their lives as they had encountered Jesus I grew more and more restless. Fear overcame me as I noticed it was getting closer and closer to my turn. All these people knew me. They knew that as a young second grader I had been baptized but little did they know that that statement of faith was made because the preacher spoke on hell and I was a scared little girl that didn’t want to go there. So you guessed it, I did what was pleasing to others and walked that aisle. As my time came I sat frozen and stared at my mother to call for a break and refreshments. Instead she urged for me to share. So I did what I did so well. I ran to my bedroom to hid. My mother sweetly followed and spent what seemed like eternity talking to me about what was going on in my heart then together we knelt by my bed and I really asked Jesus to come into my life. We exited my room to a house full of guest and I then got to share my simple and fresh testimony of Jesus. Oh friend your Jesus story might not have an earthquake beginning like mine BUT you and I were chosen! Chosen to proclaim the praises of HIM! Oh sister, He called us out of the darkness into HIS marvelous light. 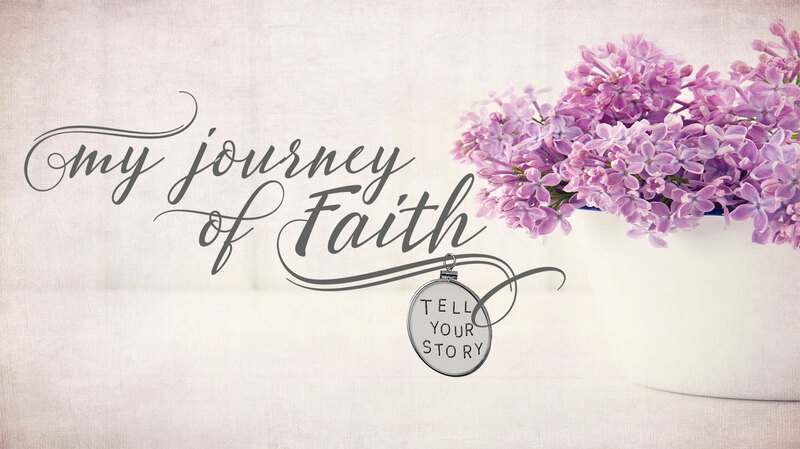 Your story, no matter how dramatic or not, can be used by God to touch the one that needs to hear your journey and be encouraged in their own walk out of the darkness of this world.